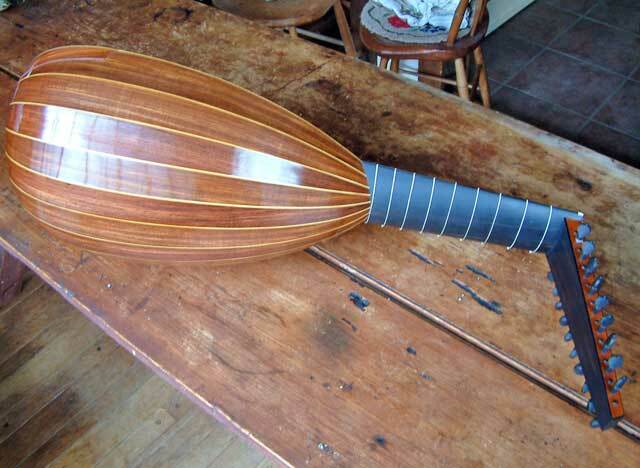 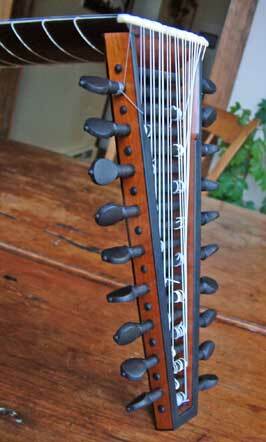 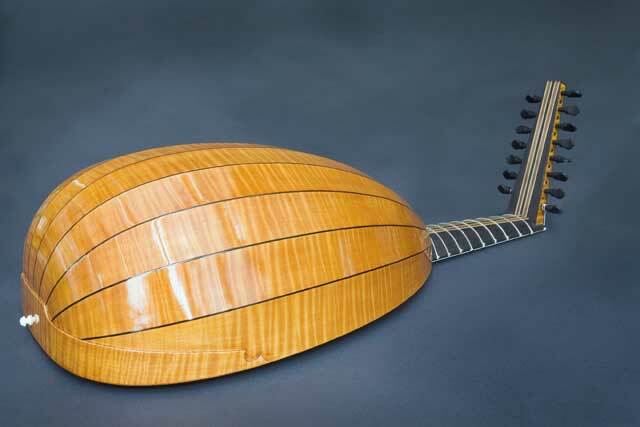 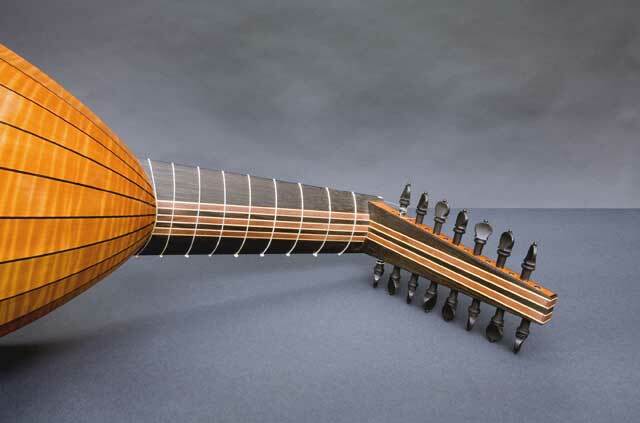 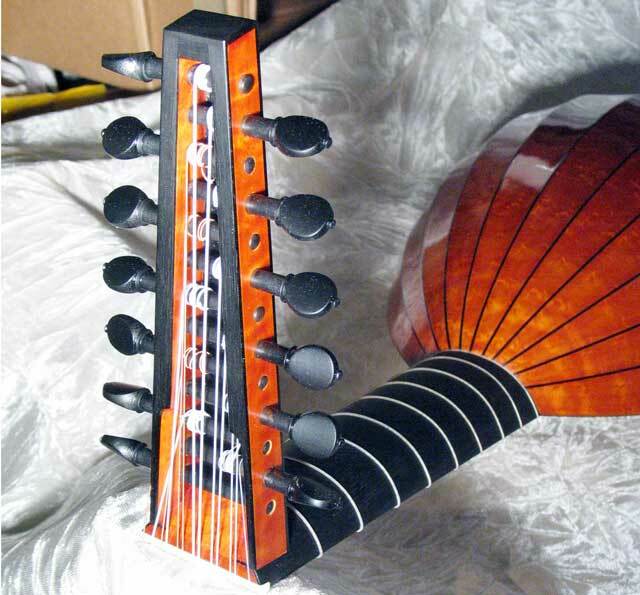 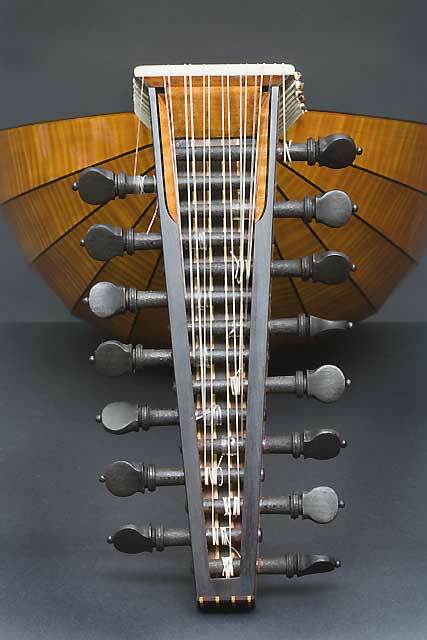 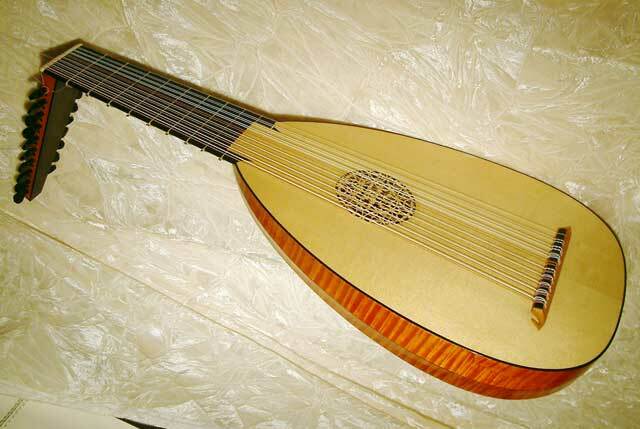 The Renaissance lute comes in a variety of sizes, typically from six to ten courses. 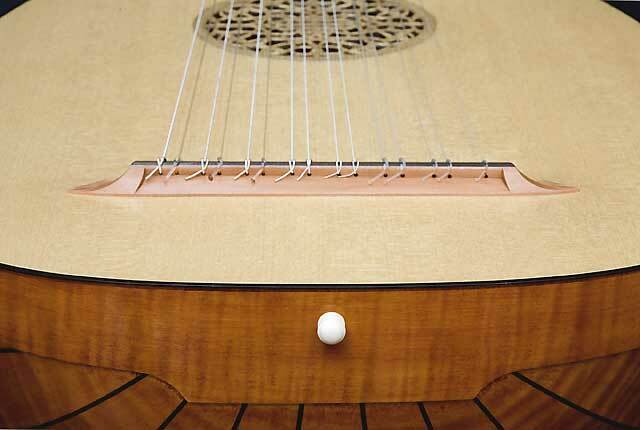 The top course is a single string, all other courses are double strung. 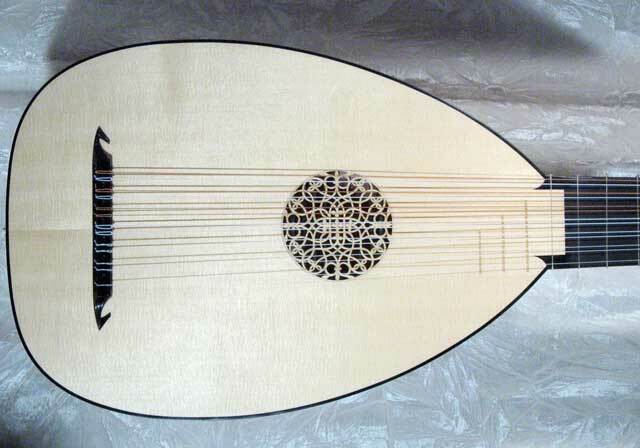 This is the classic lute from early Renaissance Italy up through the late 16th century. 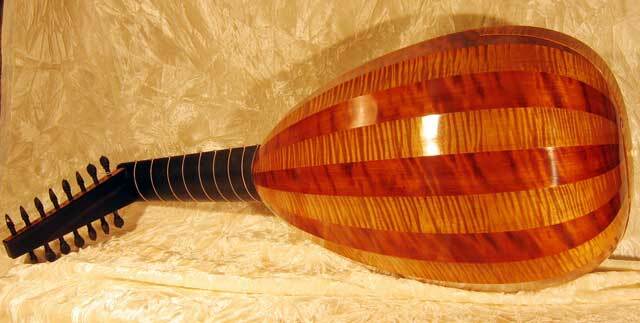 You will want to carefully consider the tradeoffs between how many courses. 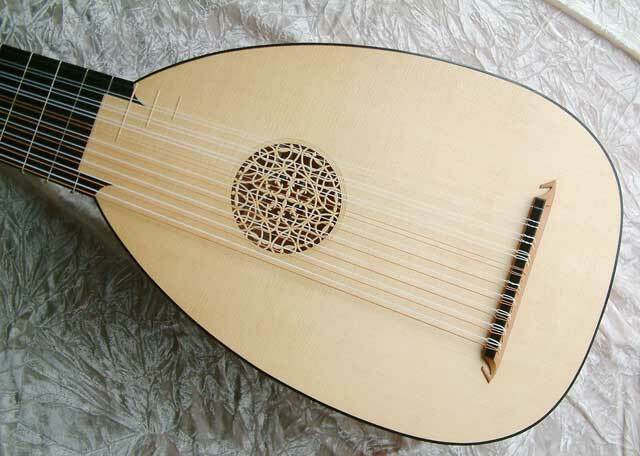 A six course lute is a sweet and elegant instrument that works well for the early Italian and French literature, as well as the wonderful Spanish vihuela composers. 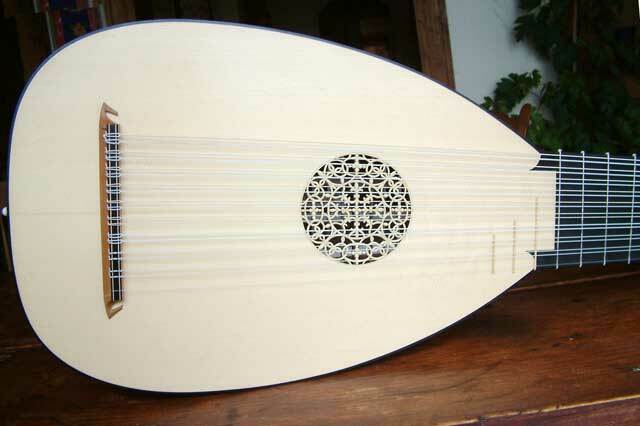 The seven course lute covers later literature, including much of John Dowland. 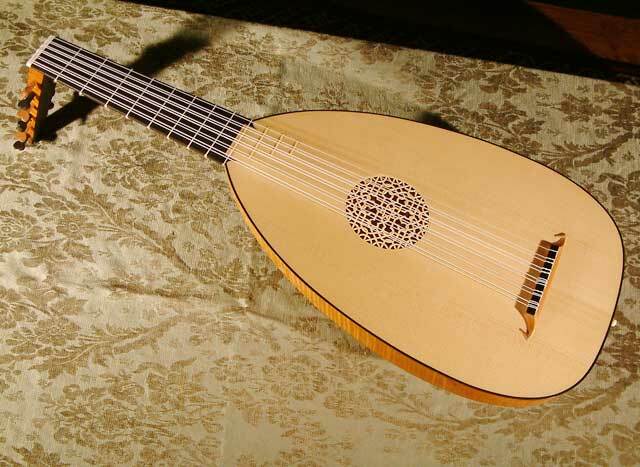 The eight course lute is often thought of as a "universal lute" and covers most of the literature through the 16th century; the addition of two extra courses over the 6 course lute can be somewhat overwhelming for the beginner. 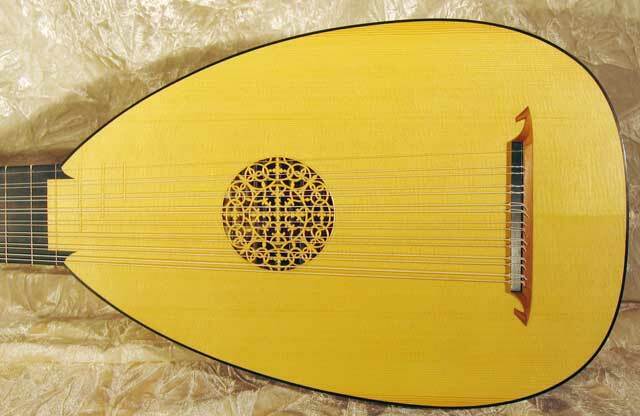 7 and 8 course lutes are a little more expensive. 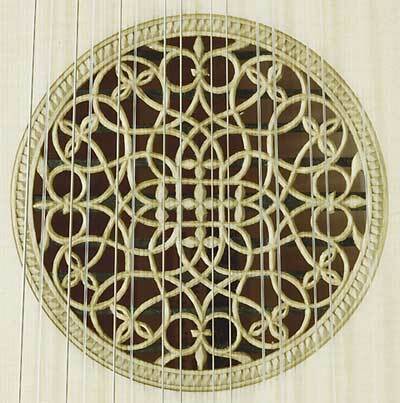 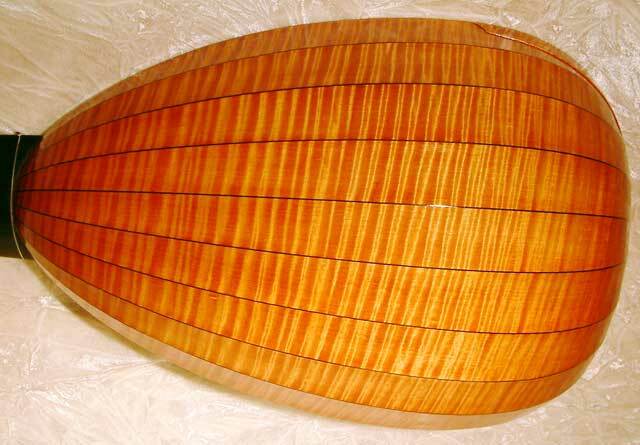 I can build a 6, 7, or 8 course lute based on the following designs; each historical design has a slightly different shape, and different sound attributes. 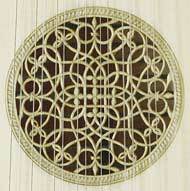 I'll be glad to discuss with you which might best fit your needs and aesthetics. 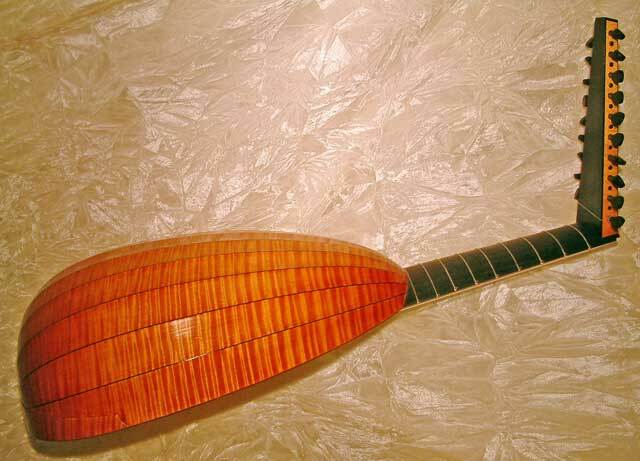 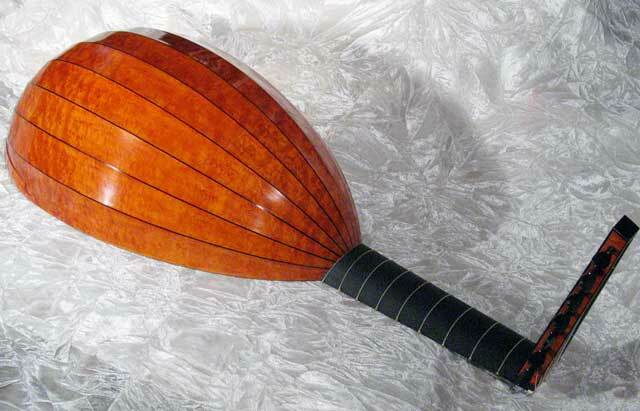 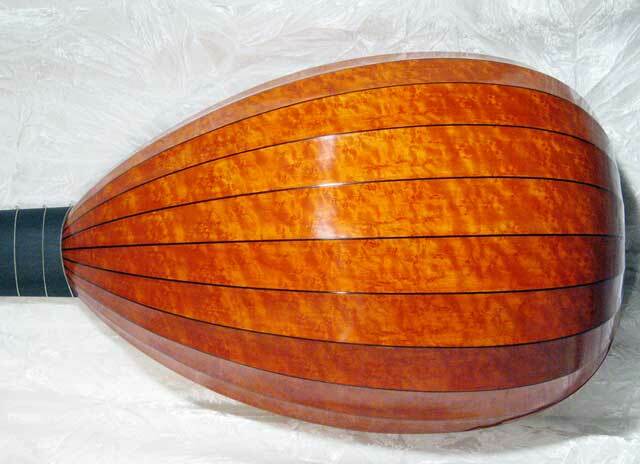 This is often characterized as a "transitional" instrument. 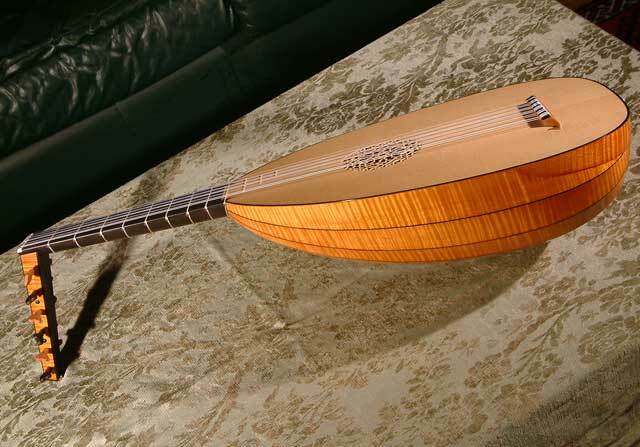 In the early 17th century it became victim to a number of alternate tunings, eventually evolving into the 11 course baroque lute. 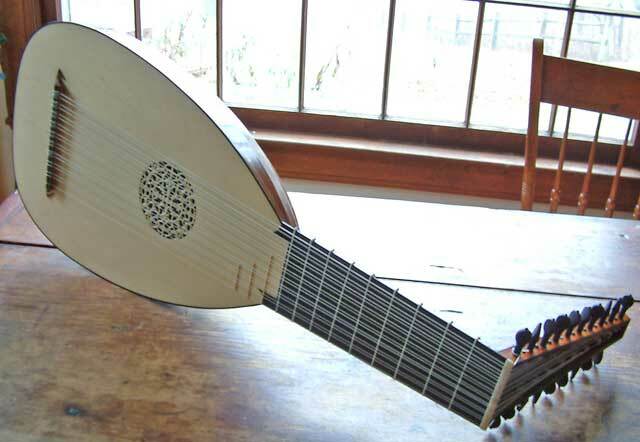 However, there is a wealth of late 16th century and early 17th century literature that was written for this lute tuned in the "old" vieil ton of the Renaissance, including Kapsberger and Michelangelo Galilei, not to mention the marvelous music of Scotland. 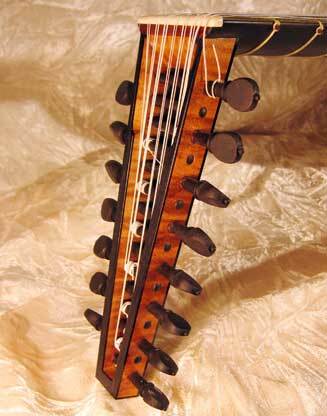 Many find that Dowland works well on a 10 course, and I think it is a practical alternative to a 9 course instrument. 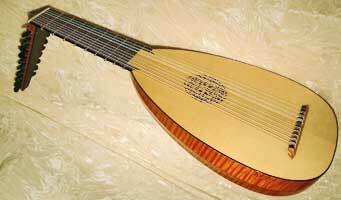 This has become a popular choice with my customers, although I would generally recommend that it not become your first lute.